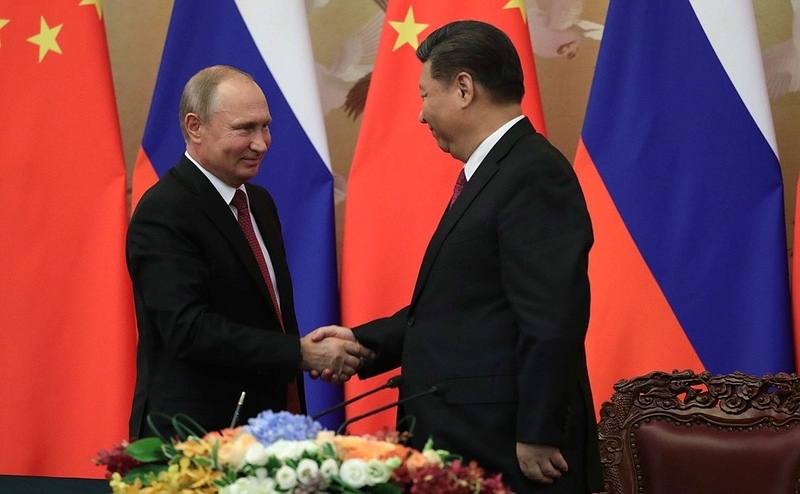 AKIPRESS.COM - China and Russia pledged to support each other on key global issues during a summit in Beijing on Friday, as the two sides hailed an “all-time high” in bilateral ties amid strained relations with the US, Chinese media report. The two countries also signed a raft of deals, including for nuclear cooperation projects totalling 20 billion yuan (US$3.13 billion) and a US$1 billion industrial investment fund, SCMP reported. Chinese President Xi Jinping met his Russian counterpart Vladimir Putin ahead of next week’s US-North Korea summit and after the United States withdrew from the Iranian nuclear deal. Putin said that Russia would work with China on the North Korean nuclear issue, ahead of the highly anticipated meeting on Tuesday between US President Donald Trump and North Korean leader Kim Jong-un in Singapore.